The Charlottesville area is known far and wide for its historic attractions, including the homes of three former United States presidents. One of these homes, James Monroe&apos;s Highland, is now bringing history to life in an interesting, interactive, and fun way. Not only can you take a traditional tour of Monroe&apos;s home, but you now have the option to take an augmented reality tour of the grounds, to experience this historic site like never before! 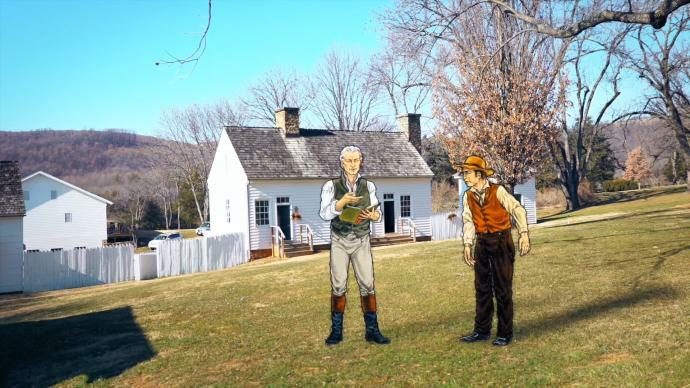 With this exciting new experience, James Monroe&apos;s Highland will become the first historic site in the United States to offer these augmented reality tours, utilizing a pair of special high-tech glasses. Visitors who opt to take part in these tours will walk through augmented environments, mainly outdoors, while 3D reconstructions, animated characters, videos, pictures, and text appear on the Highland landscape. This experience will also allow visitors to experience never-before-seen content including conversations between historic Highland residents, 3D archaeological excavations, and architectural renderings. Content for the augmented reality tour was developed from years of research at Highland and features the latest and most exciting discoveries from this historic site. Click here for more details about the augmented reality tours and other exciting news from James Monroe&apos;s Highland. While you&apos;re in the Charlottesville area, don&apos;t forget to visit the many other historic sites that are located here! Thomas Jefferson&apos;s Monticello (a UNESCO World Heritage site) is located roughly a mile and a half from James Monroe&apos;s Highland and gives visitors the opportunity to see how Jefferson lived his life at this magnificent home on the hill. A short and scenic half hour drive to the northeast of Charlottesville will bring you to James Madison&apos;s Montpelier, where you can tour his former home, stroll the grounds, and learn more about our nation&apos;s fourth president. Be sure to stop by the historic Michie Tavern, located near Monticello for more history (and some incredibly yummy fried chicken). Once you&apos;ve had your fill of this classic Southern fare, head to the Rotunda and The Lawn at the University of Virginia (also a UNESCO World Heritage site) to explore this prestigious university founded by Mr. Jefferson himself! While you&apos;re on Grounds (not campus), you can visit the room where Edgar Allan Poe lived when he was a student, see several panels of the Berlin Wall, and stop by the Small Collections Library to see some of our nation&apos;s most important and historic documents! 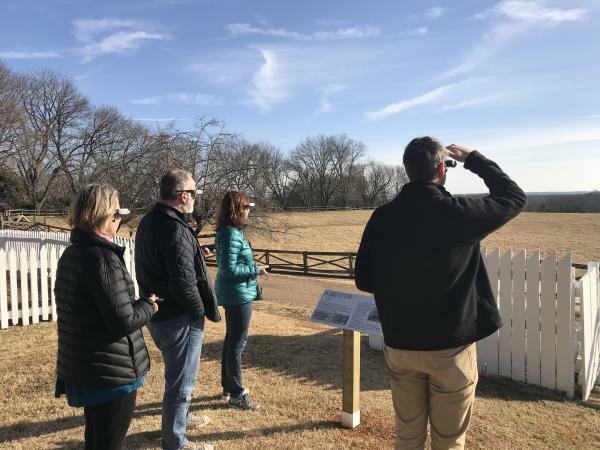 We encourage you to continue browsing our website for more ideas on things to do as you plan your visit to Charlottesville & Albemarle County to explore all of the rich history that the region has to offer. Be sure to stop by one of our two visitor centers to speak in person with a knowledgeable travel specialist who will certainly answer any questions you may have. We look forward to welcoming you!